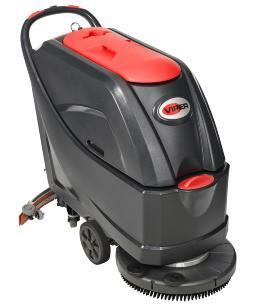 The Viper AS5160 and AS5160T are highly productive walk-behind scrubber dryers with battery endurance and tank capacity to clean for hours. Being easy and comfortable to use with their ergonomic design, these robust machines are ready for an in-depth performance on indoor surfaces. With a working width of 51 cm and a powerful 450 W brush motor, these machines will get the job done with both speed and ease. 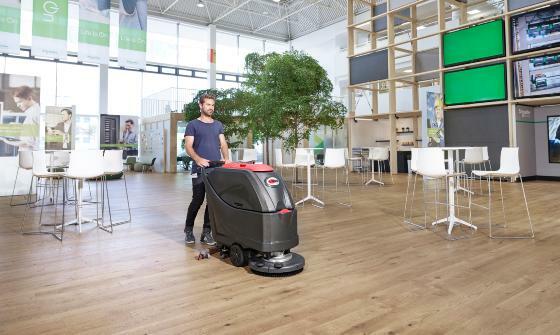 Especially if you go for the model AS5160 T – for Traction – equipped with a 150 W drive motor, bringing the scrubber dryer forward. Hours of cleaning are ensured by the 61 liter capacity of both water tank and recovery tank – and the power packed 2x12 Volt batteries.